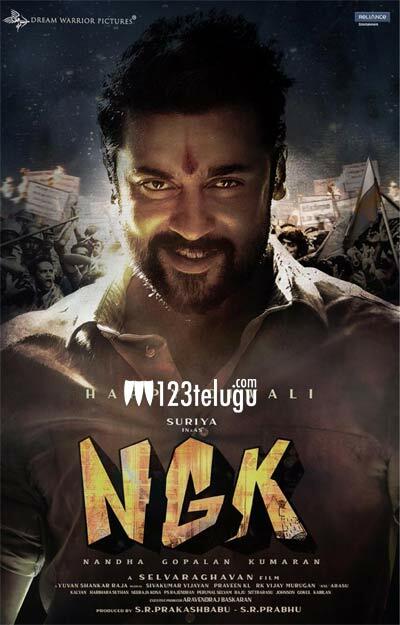 Suriya’s upcoming film NGK has finally got a release date after weeks of speculation. Initially, it was being planned for release in mid-April; however, now the team has decided to release the film on May 31. Directed by Selvaraghavan, the film also stars Sai Pallavi and Rakul Preet. NGK, which will release simultaneously in Tamil and Telugu, is an important film for Suriya, and he’s banking a lot on it to score a big blockbuster. Although his recent films were well received by a section of people, it’s been a while since he had played a character with a big mass appeal outside the Singham franchise. In NGK, he’s going to play a young politician, and the team is confident that Suriya will enthrall everyone in his new avatar. Apart from NGK, Suriya also has another film with KV Anand lined up for release later this year, and he’ll next start shooting for Guru fame Sudha Kongara’s film.